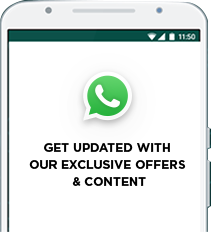 Subscribe to our daily Deal Alerts on your Whatsapp. Please verify your email before setting price alerts? Thank you for subscribing price alerts! Should you have any questions, please send an email to admin@deal70.com. © Deal70 2016. All Rights Reserved. Signup to start getting daily newsletters, deal alerts and promotions. Exclusive deals, offers and promotions are available only after Signup. Find the Best Price. Save Your Time & Money! Copyright © 2019 deal70.com. All Rights Reserved.